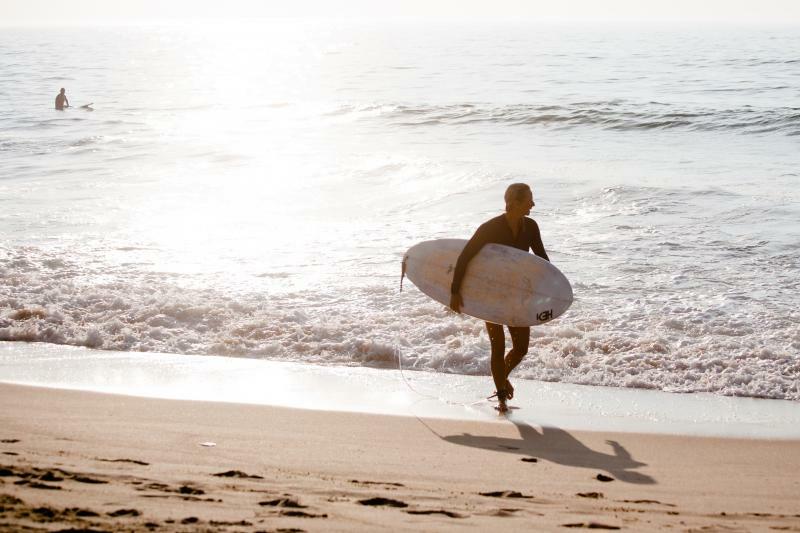 I did not begin surfing until my late-20s and before my husband and I had our two boys, we traveled to the North Shore of Oahu, Hawaii several times a year to indulge in our passion of riding waves. When I started surfing, I could not find one female surf instructor who I could call. I surfed with a few guys I knew but wasn't really taught the basics regarding safety, technique and proper surf etiquette. It took me a long time to feel comfortable out in the water on my board. 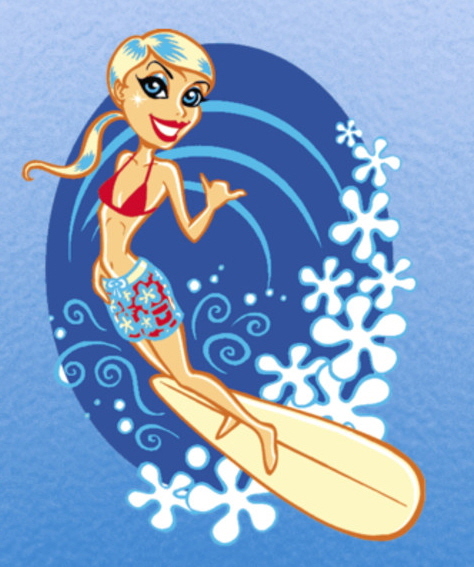 I decided to attend an all women surf camp in Hawaii with an experienced female surf instructor. It was the best vacation I ever had and I came home feeling more confident than ever to go out and surf locally. I finally had the information I needed and felt more comfortable with a woman teaching me one-on-one. After several girlfriends asked for surfing instruction I figured there is a need for a woman surf instructor to teach women one-on-one. The response has been amazing and there has been so much interest that even our local surf shops have been passing out my cards to moms, college students and other women. Everyone says that they have always wanted to learn to surf but just didn't know how to get started or felt too intimidated. I felt the same way! I met my husband who has surfed his entire life and my surfing just progressed from there. Our lives revolve around surfing - checking waves, surf forecasts, tides, weather. 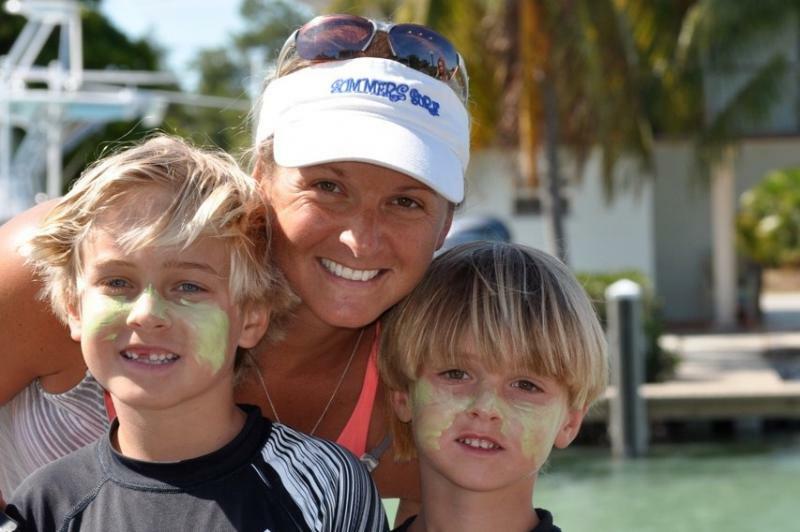 ﻿We are thrilled that our boys, Kai & Kade, enjoy surfing with us. They have even started surfing in contests! Surfing is something we will be able to do as a family for our entire lives. Surfing is also a great way to stay in shape and I am so much happier when I am able to catch some waves & have some "me" time. It's also fun to get together with other women who surf for a ladies session. I've helped create several women surfing groups here locally and offer a connection FB group page for ladies who take lessons with me. Being selected as one of Athleta's 2011 Featured Athletes was such a great experience and I continue to contribute to their blogs. 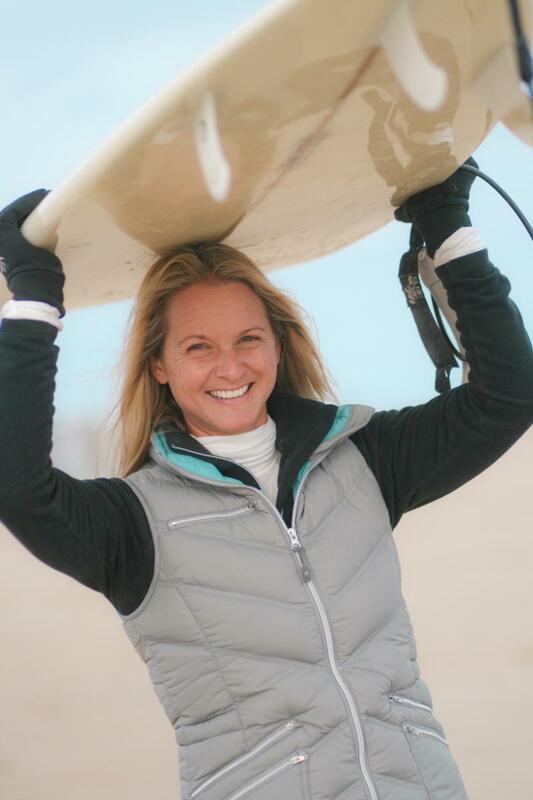 I was also named one of The Dispatch's (our local newspaper) Young Professionals for 2011 for my business of teaching surf lessons for women. My year-round career is that I am the executive director of the Eastern Surfing Association, the largest amateur surfing organzation in the United States. I oversee 24 local ESA districts along the east coast that offer surf contests for children and adults. 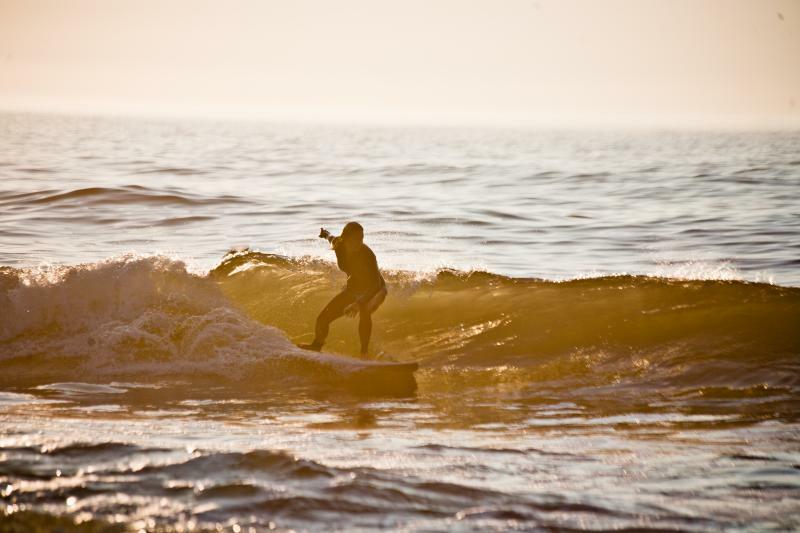 Through my surf lessons, our local surf spot is now full of women of all ages who truly enjoy the sport of surfing. It's been amazing to watch women who I've connected become friends, change their lives for surfing and continually improve. I am excited to continue teaching women something that I am so passionate about!